Lehman College will celebrate Black History Month with its annual Dr. Martin Luther King, Jr. Lecture on Wednesday, February 15, at 11 a.m. in the Lovinger Theatre. 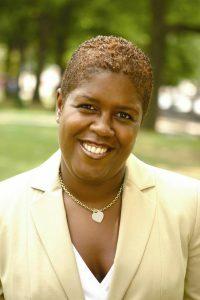 Helen D. Foster, the New York State Human Rights Commissioner, will deliver the keynote address, entitled “Reflecting on the Past to Strengthen Our Future.” This event is free and open to the public and is presented by the Urban Male Leadership Program and the Department of Africana Studies. A champion of human rights law, Foster is widely credited for reducing a decades-long backlog of cases, after her appointment by Governor Andrew Cuomo in 2013. She oversees 164 employees and 12 administrative offices throughout the state, and has jurisdiction on state discrimination and civil rights issues. Foster served in the New York City Council for 11 years, representing the 16th District in the Bronx, which includes the neighborhoods of Claremont, Highbridge, and Mount Eden. As a councilmember, she served as chairperson for the New York City Council Committee on State and Federal Legislation, and as Chairperson of the Council’s Committee on Parks and Recreation. She is a graduate of Howard University in Washington D.C and the CUNY School of Law at Queens College. The event at the Lovinger Theatre is free and open to the public.